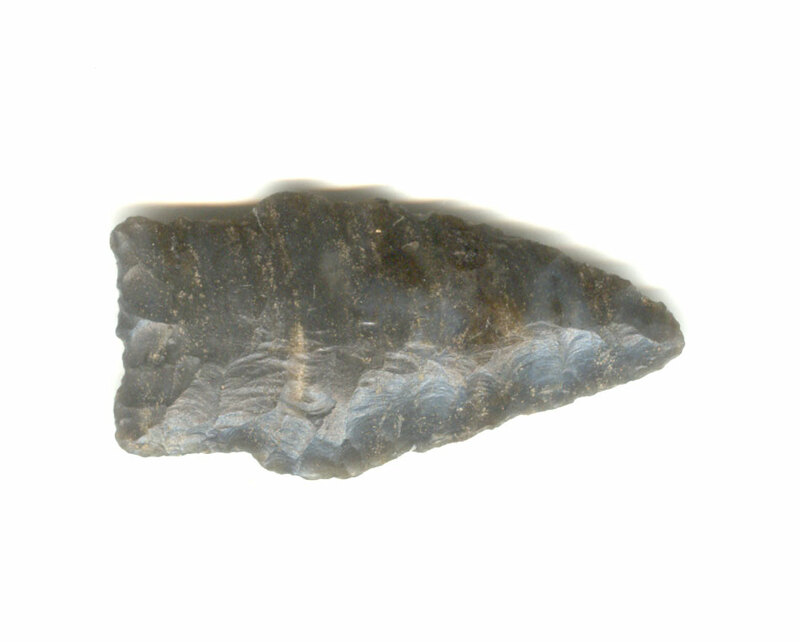 A Small Size, Visibly Aged And Anciently Used, Sturdy Made, Scottsbluff Point That Exhibits Stone Sheen Coloration And Surface Aging Patination, Deep Aged Stone Pore Deposits, Correct Rolled Basal Stem Edge Hafting Dulling, Correct Blade Sharpening Use Reduction, Correct Early Style Blade Flaking, Correct Material And Manufacture For The Area Found. Found By Billy McLemore, In The Canadian River Below Eufaula Dam. Ex-Billy McLemore And Norman Jones Collections! Include Billy Mclemore And Ken Partain Certificates Of Authenticity!